The last round out of Italian borders of the championship will be held on the former Formula 1 circuit Red Bull Ring. Games are still open and the fight on top of the standings involves Agostini, Cheever and Maisano. 01/08/2012 - The last exit out of Italy of the first edition of the Italian Formula 3 European Series will begin this Friday on the winding circuit of Red Bull Ring, in Austria. The 4.326 meters of the circuit that have been housing the Formula 1 GP will be the stage of the challenge among the young champions of the Federation's series. The fight on top of the classification will involve Eddie Cheever (Prema Powerteam) currently leading the continental standings, Brandon Maisano (Prema Powerteam), who secured a double victory in Misano and placed himself at the back of his team mate after a shady first part of the season, and Riccardo Agostini, at his debut in Formula 3 on the Mygale of JD Motorsport who is 40 points behind Cheever. The third round out of Italy will be also valid for the third round of the Italian Formula 3 championship marking the turning point of a season that after Austria will see the drivers competing in Imola, Vallelunga and Monza. Among the other drivers to keep an eye on, Sergey Sirotkin, the Moscow driver of Euronova, that his fourth in both classifications and that is growing on the Dallara of the team led by Vincenzo Sospiri. 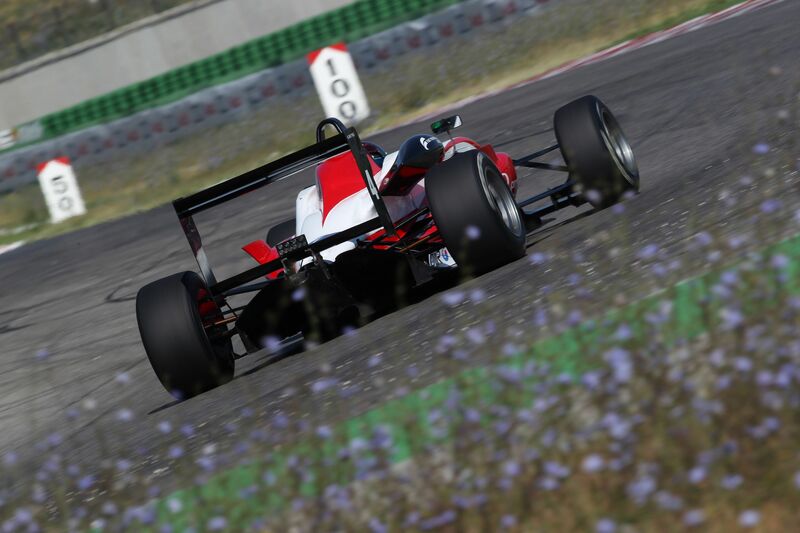 Patric Niederhauser will come back to the championship after two rounds of absence on the Dallara of team BVM. The Swiss driver is showing a lot of potential also outside Formula 3 as he obtained 2 wins and a third place in GP3 and now is fifth in the general classification. The Romanian Robert Visoiu, absent in Misano due to the conflicting GP3 race, is back in the ranks of team Ghinzani and will side Kevin Giovesi who had a good debut on the Italian circuit despite some difficulties. Roman De Beer will be absent instead and will be back at the wheel of the Mygale of team Victoria World in Imola next 2 September. Ready for the fight will also be Mario Marasca (BVM) and Henrique Martins (Prema) who is trying to get back to the shape of the first two races, Nicholas Latifi, on the second Mygale of JD Motorsport who is growing race by race and that this week declared to aim to the podium before Monza and Yoshitaka Kuroda (Euronova). The Austrian weekend will start this Friday at 8.30 (GMT+2) with the first free practice session, followed by the second at 13.40. Qualifying will start on Saturday at 9.25 to decide the pole position valid for race one, live on Rai Sport 2 and web streaming suwww.acisportitalia.it/F3 at 14.40. The Sprint Race of 15 minutes plus a lap will be live on Sunday at 10.20 on Rai Sport 2 as the last race of the weekend in the afternoon at 16.35. The three live coverages on the Sports channel of the Italian TV confirm the high interest towards the series and the very good auditel results of Formula 3.